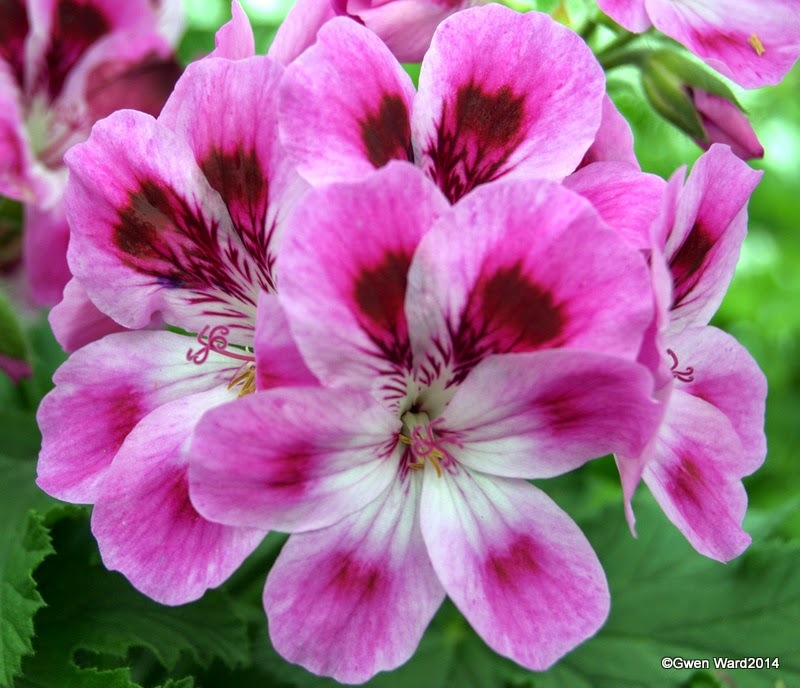 Wordless Wednesday - 17/12/14 - Stellar Pelargonium "Charmay Lilac Time"
Stellar Pelargonium "Charmay Lilac Time"
This Stellar Pelargonium was introduced in 2001 by the late Brian West through Fibrex Nurseries. 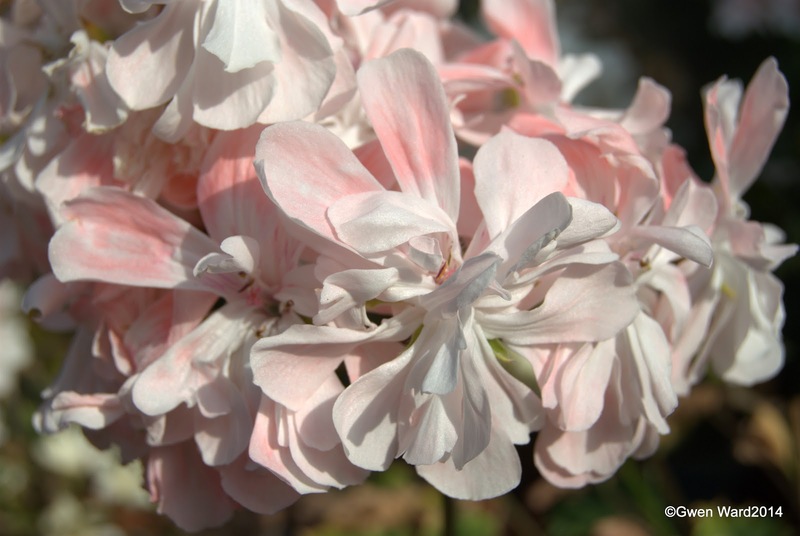 It has very pale pink single flowers with dark veining to each petal. My own seedlings have recently been potted on and I am quite pleased with how they are looking. The red leaves are because we had a slight frost one night that I was not prepared for. It's not a problem as I will remove them and new leaves will grow again. 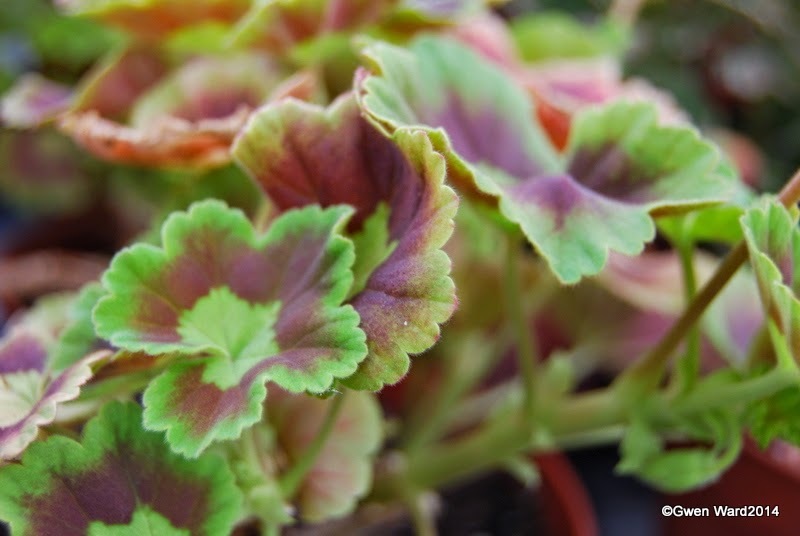 In fact, it's not a bad thing to remove a few leaves as it allows more air to the plant to avoid botrytis. 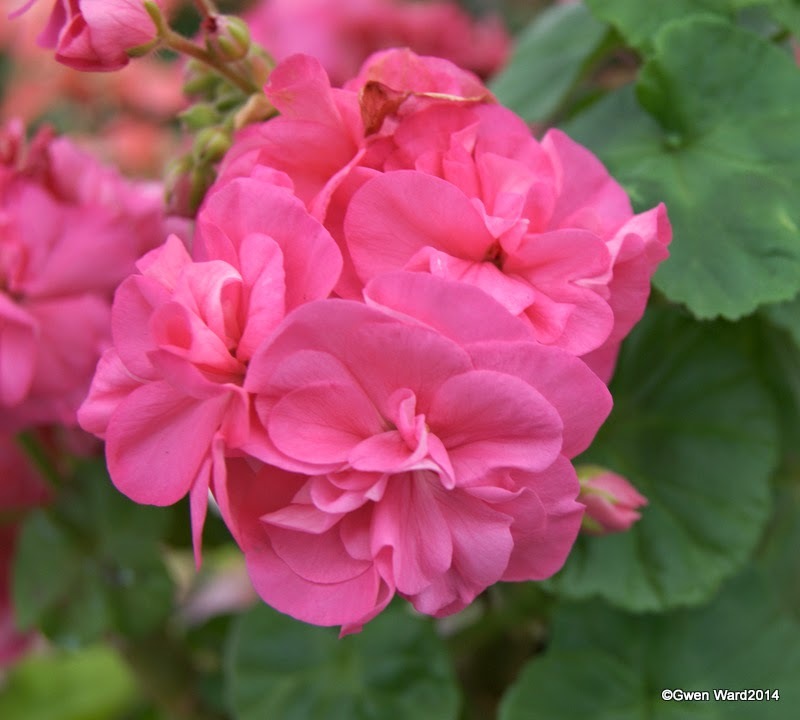 Wordless Wednesday - 10/12/14 - Angel Pelargonium "Billie Barnes"
Wordless Wednesday - 03/12/14- Pelargonium "Roller's Satinique"
Originating in Australia and introduced by Ted Both before 195, 'Berylette' is a miniature zonal pelargonium. 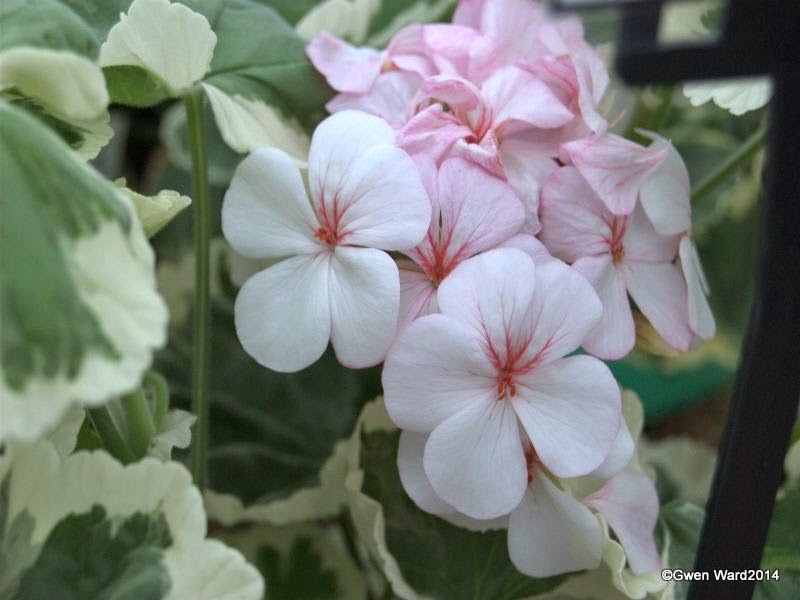 The flowers are double white flushed with pink, which contrast nicely against the dark green foliage. 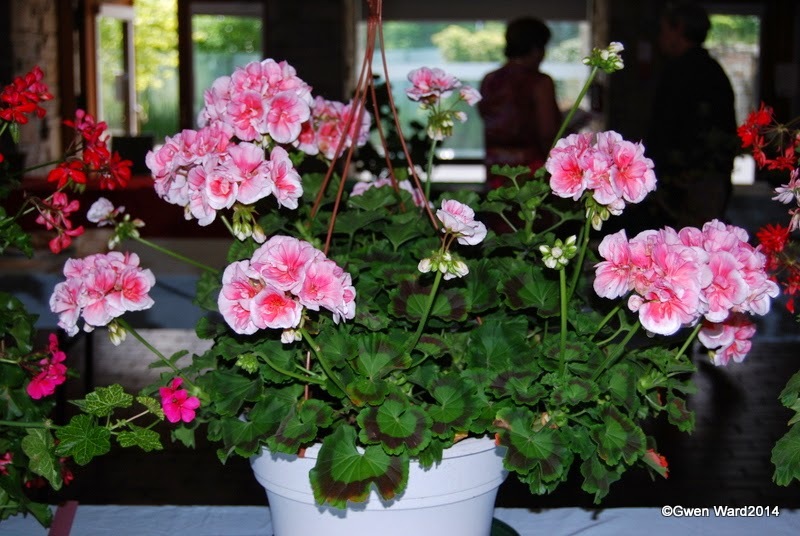 I find if the weather is not sunny, or the plant is growing in a shaded area, the flowers are a slightly darker pink. 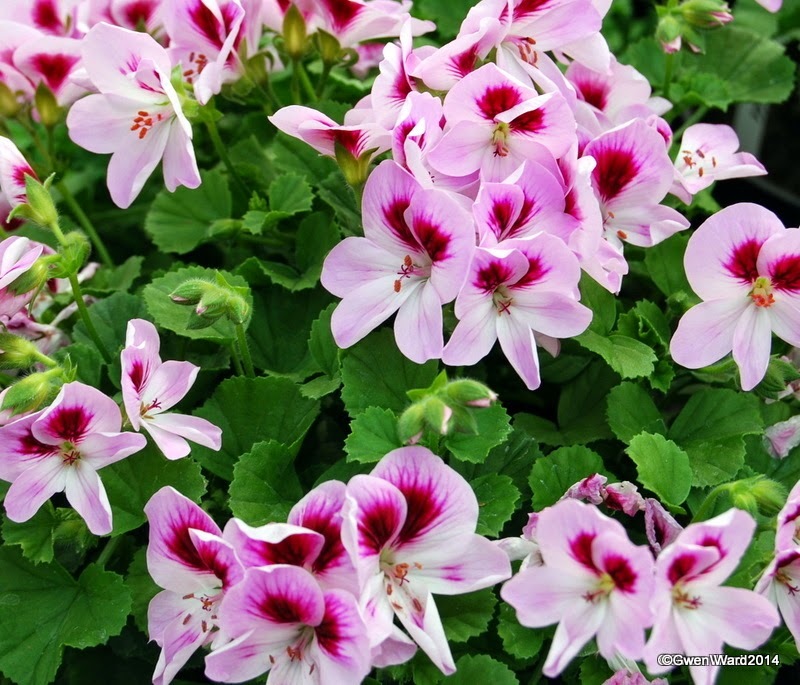 With large flowers on a bushy and compact plant, Regal Pelargonium “Fareham” is a truly regal pelargonium. The flowers are a beautiful and brilliant deep royal purple with a lilac picotee edge. “Fareham” was introduced by a Mr Pearce circa 1987. I've just potted on my own seedlings from this year's seed. Of the 18, some are 'bee' crosses, and some are my own. 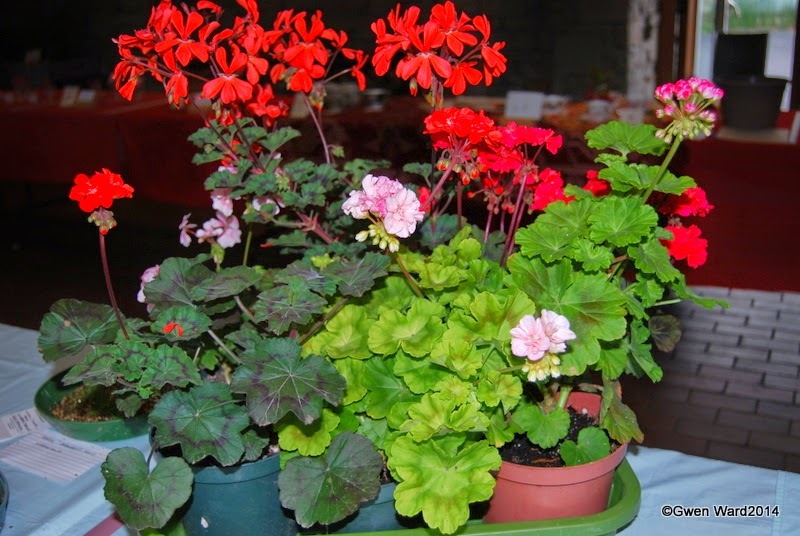 I still have more seed to sow, but will wait until the beginning of next year to sow them now. 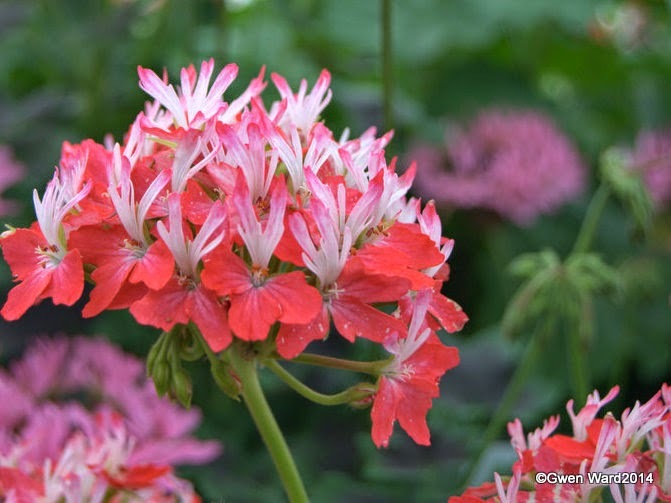 Wordless Wednesday - 05/11/14 - Regal Pelargonium "Bushfire"
Wordless Wednesday - 17/09/14 - Stellar Pelargonium "Aunty Pat"
"Mrs Mappin" is beautiful! 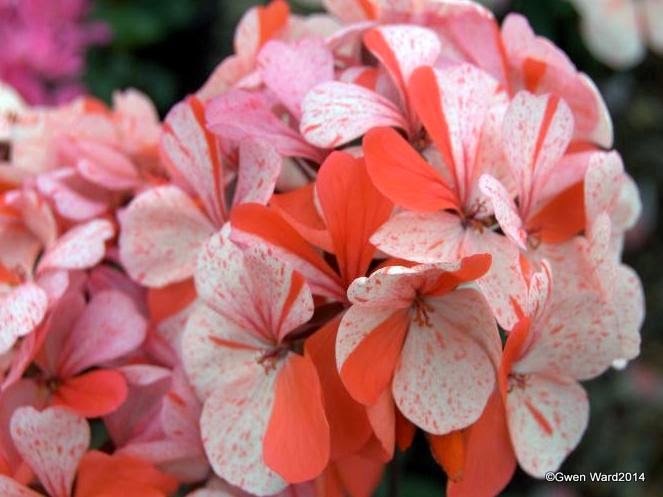 - She has single flowers of the palest pink with slightly darker ‘eye’. 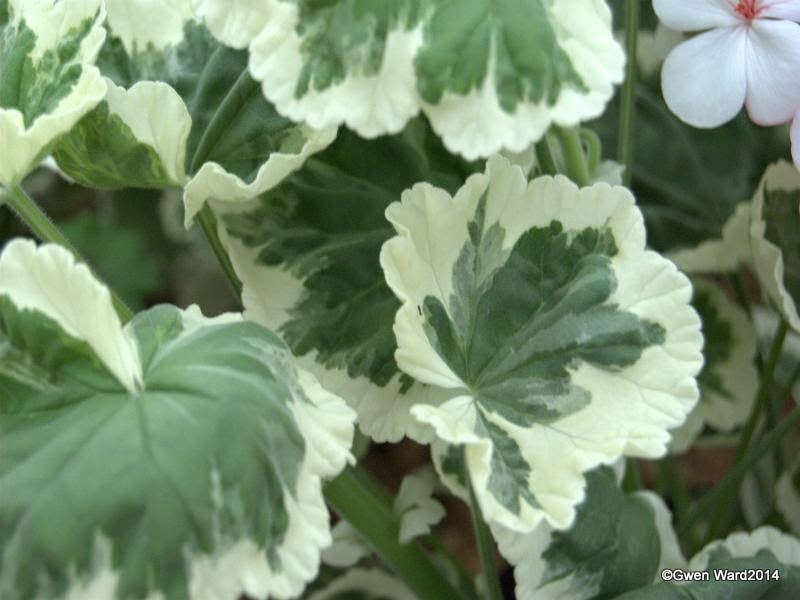 She is a zonal pelargonium and her leaves are silver and green bi-coloured. She stands tall and proud in the greenhouse. 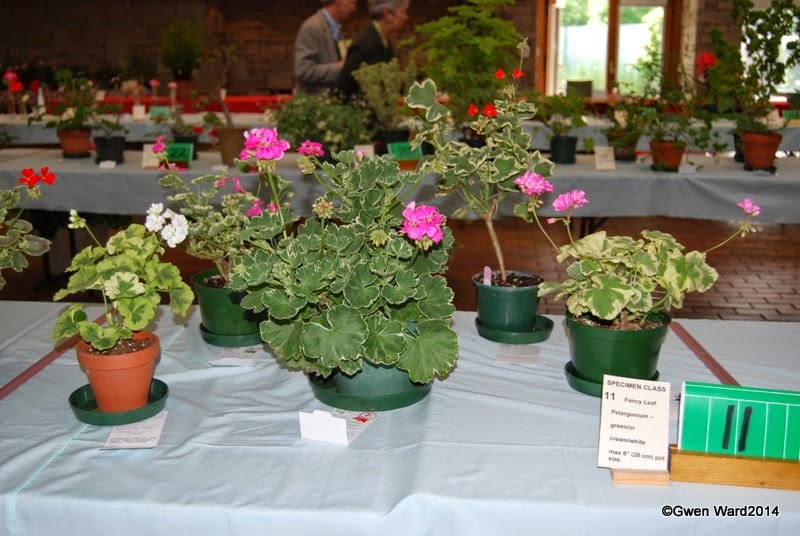 Bi-Coloured zonal pelargonium "Mrs Mappin"
"Mrs Mappin" was introduced circa 1988 in John Thorpe’s catalogue. Sometimes in catalogues she is referred to as "Mrs J Mappin". Does anyone know who Mrs Mappin was/is? 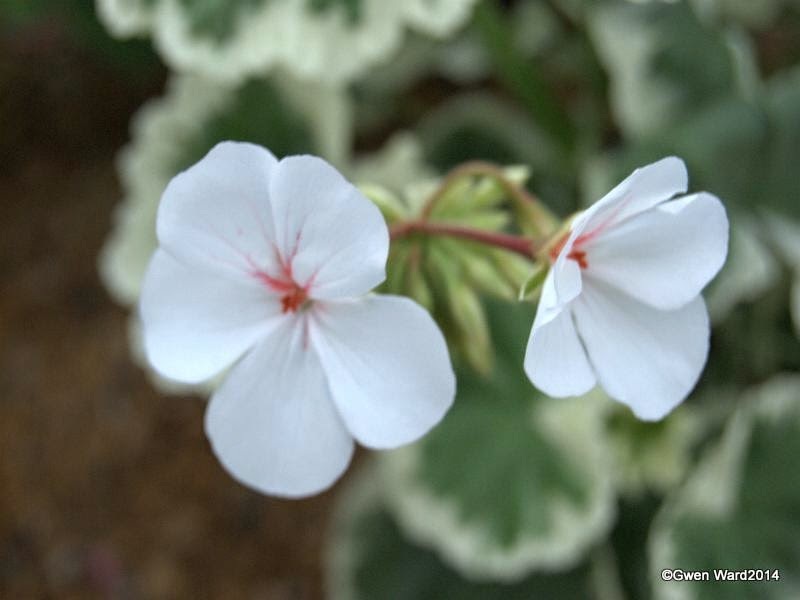 I have had "Little Alice" in my collection almost since I first began to collect pelargoniums. 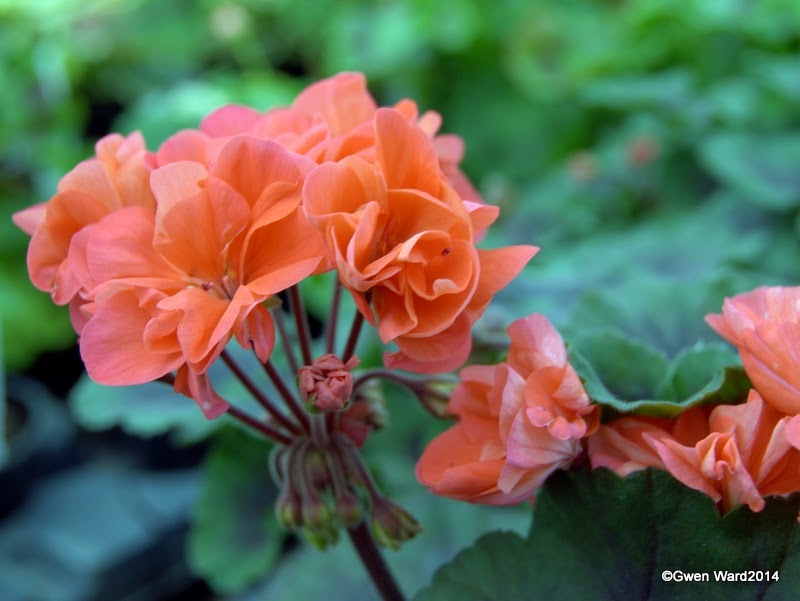 This dwarf zonal pelargonium produces an abundance of bright salmon/orange double flowers. 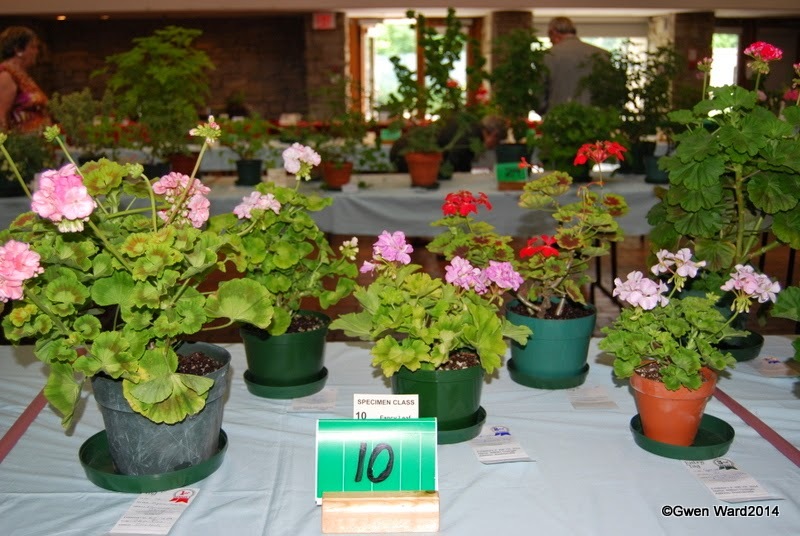 The leaves are a well zoned dark green. 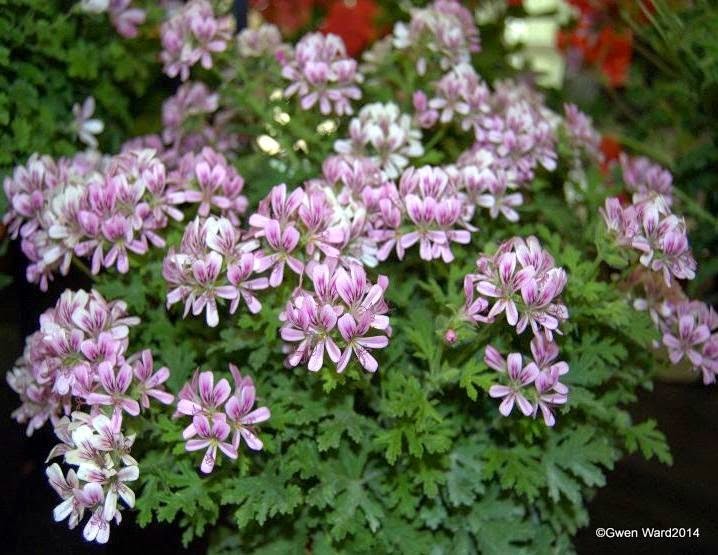 Little Alice is a good exhibition plant as it has a naturally compact and bushy habit. 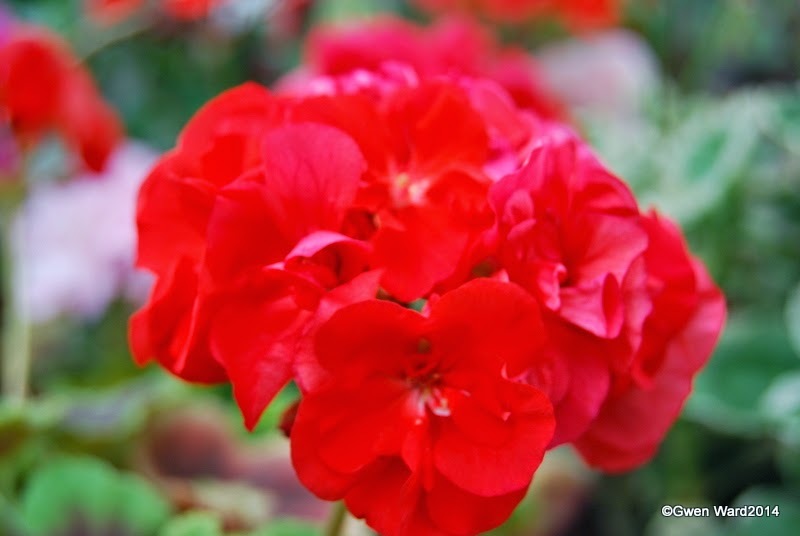 Introduced in the UK by Ken Lea in the late 1980’s. 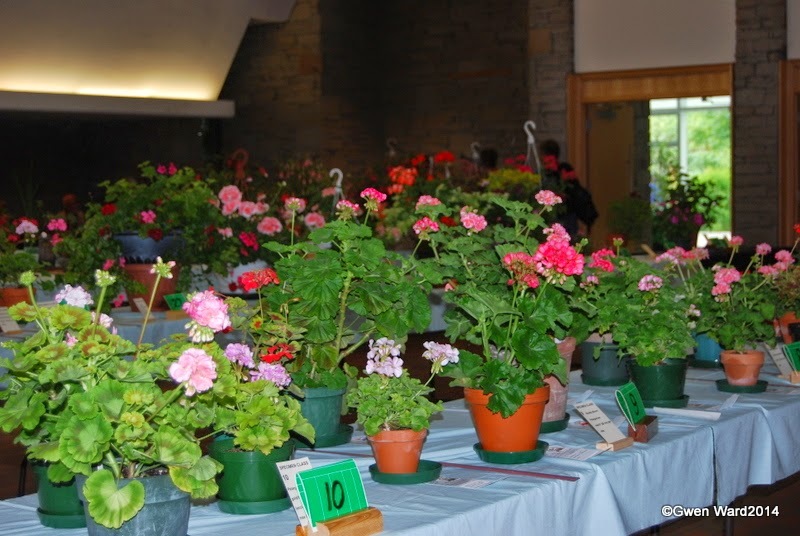 Last month I attended the Annual Show in Toronto of the Geranium, Pelargonium & Fuchsia Society of Ontario with Sandy Connerley and Jean Hausermann. 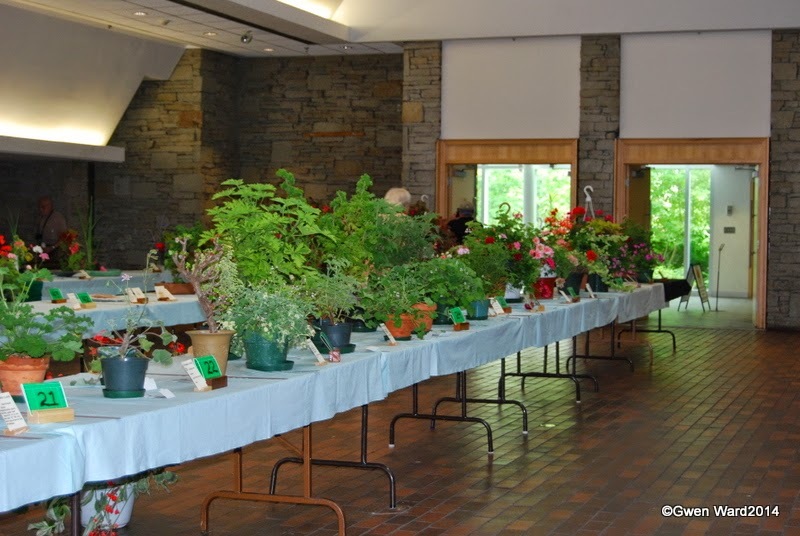 The Show was held at the Toronto Botanical Gardens and was well attended by exhibitors, members and visitors. Here are a few photo’s I took of the Show. 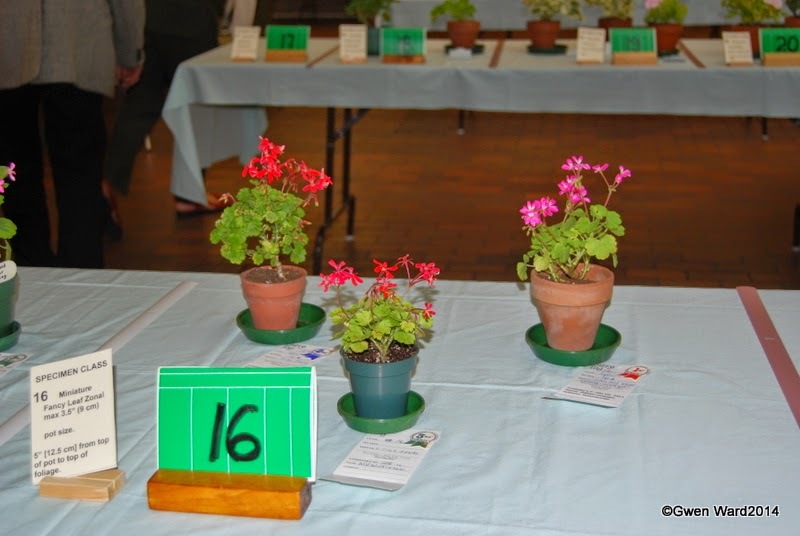 Many thanks to all the members of the Society for making us so welcome.